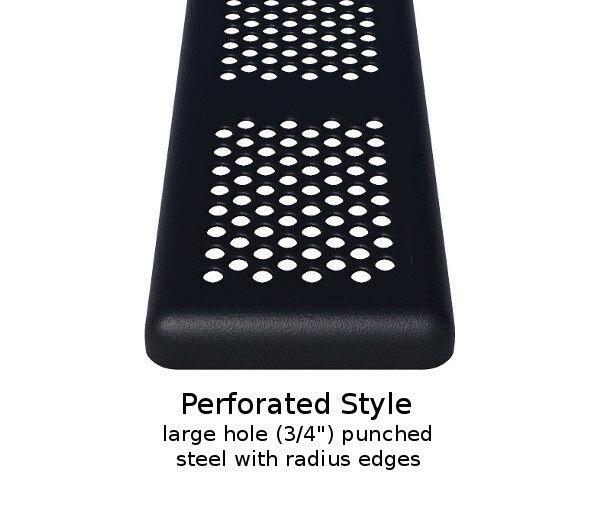 This 6 foot rectangular picnic table is made with thermoplastic coated large hole 11 gauge punched steel and two 2 3/8" galvanized steel powder coated legs. Our thermoplastic picnic tables will last for years in any commercial environment. 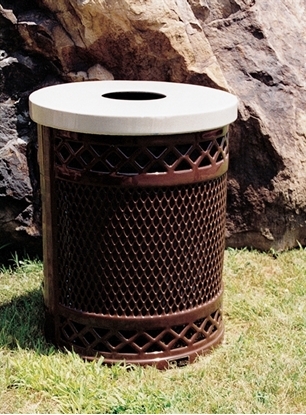 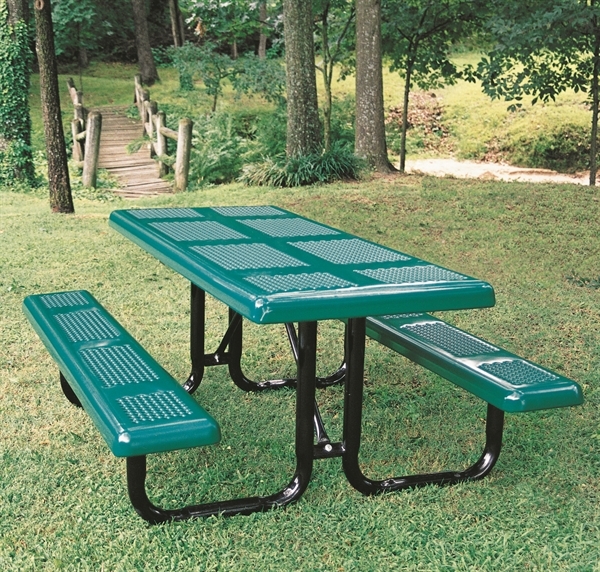 Rectangular picnic tables are perfect for group gatherings by the grill in your favorite park. 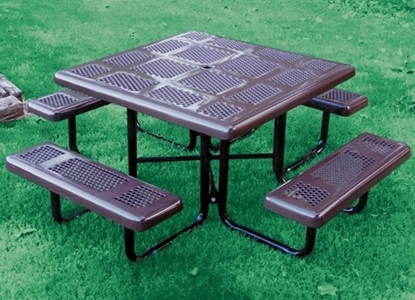 Square Thermoplastic Steel Picnic Table, Perforated Style, Seats 8 Adults, 305 lbs.